PRAGUE — As the trend of switching from team tour to independent travel in Chinese outbound travel – In 2014 the number of Chinese outbound independent traveller increased by 26.8% year-on-year in 2013,according to 2014 Chinese Outbound Traveller Behavior Report, outbound self-driving travel especially travelling to Europe countries is becoming more and more popular among Chinese – the intention of outbound self-driving reached to 30.6% among China outbound travel in 2014. Prague，the world-famous capital of Czech Republic is included in the route of such outbound independent travel. 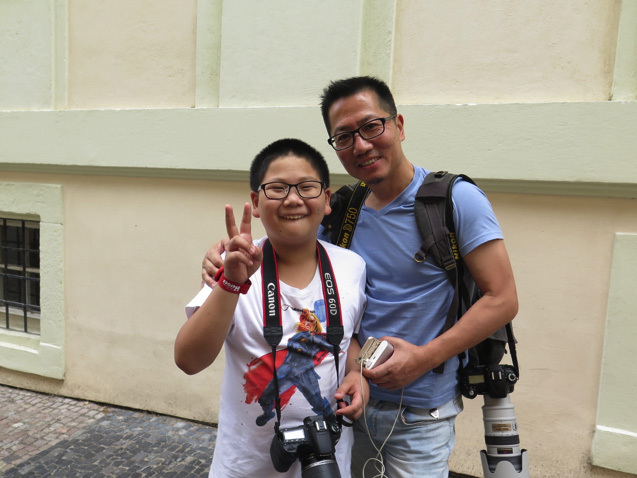 “It is so boring and tiring to travel abroad by joining tourist groups, self-driving travel is so convenient with car navigator.” Charles Yu, a traveller who drives himself (what Chinese refer to as self-driver) in Prague from Shanghai, China said. 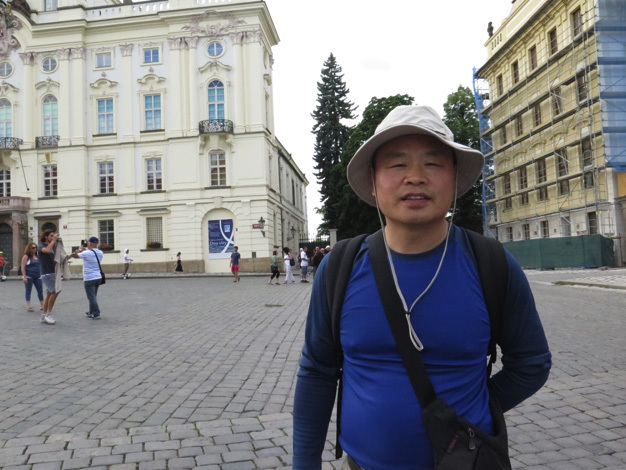 Yu is one of a growing number of Chinese travellers internationally who decide to drive themselves, not only in Czech but also in other countries, especially Europe countries. To those Chinese independent outbound travellers like him, relatively low travelling cost of joining tourist groups is not attractive any more. They are fed up with tight schedule and wasting time at tourist attractions that they are not interested in but selected by travel agencies. Instead, the freedom of fixing travel line on their own and the possibility of returning cars at different places, which adds to convenience is more charming to them, according to Yu. According to 2014 China Outbound Self-driving Travel Report, the cost of outbound self-driving travel dropping constantly contributes to its popularity. At the same time, the soars of China online travel promote the development of online car rental, which accelerates the expanding of China outbound self-driving travel market, according to tnooz report. The groups of outbound self-drive travel are mostly made up of units of family, single or several. More than half of them come from well-developed cities in China – Beijing, Shanghai, Guangzhou and Shenzhen. They pay more attention to flexible schedule, local food and historical culture, instead of single experience of “going abroad”. Prague ranked TOP 10 of outbound self-drivers’ most concerned destinations in China 2014, just following Berlin, Germany. It’s not their first experience of traveling abroad, but the first time of traveling in Europe and outbound self-drive travel. It’s so different to plan the whole travel on their own from driving route to tourist attractions to visit. The service of returning rented car in another city in Europe Union countries provides much more convince, Mrs. Xu added. The routes of Chinese self-drivers from China in central Europe are similar to some extent. Most of them choose to rent cars in Germany starting their travel there. Along the route, Czech Republic is their second stop. Different from traveling to many cities in Germany, They tend to concentrate on Prague in Czech and spend around two days here, then departure to Austria. “There are so many tourists in Prague, which is out of our expectation. We made a temporary decision to leave our car at hotel parking lot and travel by tram or on foot here. ” Liu Jian, a self-driver from Shanghai said. The English penetration is relatively low in Prague and there is not any English or Chinese fingerpost, which makes it a little bit difficult to drive or ask directions here, according to Xu. YLC is a Chinese Dutch who travels along with Chinese self-drive travelers in Prague acting both as driver and guide. According to him, although Chinese drivers are able to drive in Central Europe countries once certificated before going abroad, outbound self-drive travel can be dangerous. Many are lacking in knowledge of local traffic laws, which may result in some trouble. Some choose to employ a native driver who can speak Chinese and have a better knowledge of situation of local traffic when rent their cars to avoid risk.